“Jesus Jingles” from Christian Faith Publishing author Sandra McGraw inspires readers to reflect on the words of God every moment of every day. “Jesus Jingles” teaches the word of God while offering comfort to people of all ages. “Jesus Jingles”: a collection of inspirational ditties set to familiar songs that share God’s word. 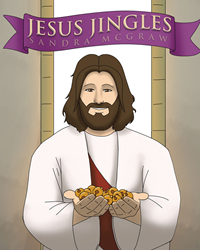 “Jesus Jingles” is the creation of published author, Sandra McGraw. Sandy is a retired teacher with a passion for reading, yoga, and her rescue dog, Camo. After thirty-two years in the classroom, she now substitute teaches, volunteers at church, and tutors on the side. She loves a good rhyme. She is beginning to grasp the tremendous power of God’s word. Published by Christian Faith Publishing, Sandra McGraw’s new book is a collection of musical compositions. Words are powerful. God’s words are the most powerful. Keeping God’s words ever present on one’s lips can transform a person’s life. “Jesus Jingles” is a collection of biblically based lyrics set to old, familiar tunes. “I Trust Jesus” was the first jingle born out of the worry that came with a new driver in Sandra’s family. This jingle helped her replace her worry with God’s word, His truth. The rest of the jingles materialized as she met life, along with all of its many tribulations and joys. View a synopsis of “Jesus Jingles” on YouTube. Consumers can purchase “Jesus Jingles” at traditional brick & mortar bookstores, or online at Amazon.com, Apple iTunes store, or Barnes and Noble. For additional information or inquiries about “Jesus Jingles”, contact the Christian Faith Publishing media department at 866-554-0919.